When suffering from damaged or missing teeth, there are a number of treatment options: dental implants, dental crowns, and tooth bridges. Clínica Dr. Erick Rivera in San José, Costa Rica specializes in providing these treatment options – but which one is right for you? Dental implants, as the name implies, are devices inserted into patients’ mouths in order to fill the space left by a missing tooth and provide protection to the bone tissue. Implants are a great option for people who prefer an implant for each individual tooth – an alternative to the increasingly popular “all-on-4” method. Dental implants also have the added bonus of controlling the ageing process of the face, as well as improving the recipient’s chewing ability and overall oral appearance immediately. 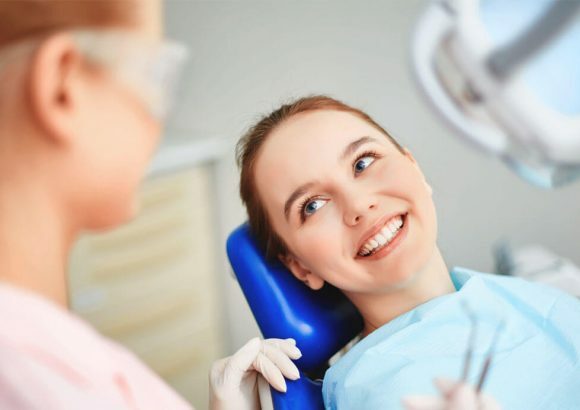 Before the procedure, due to its slightly invasive nature, we assess your clinical history and perform an x-ray to determine the exact anatomical conditions of each patient’s mouth in order to avoid any complications and minimize as much risk as possible. Dental crowns and tooth bridges are non-invasive alternatives to implants. Crowns are fixed dental prostheses that sit either on top of existing teeth or an implant. 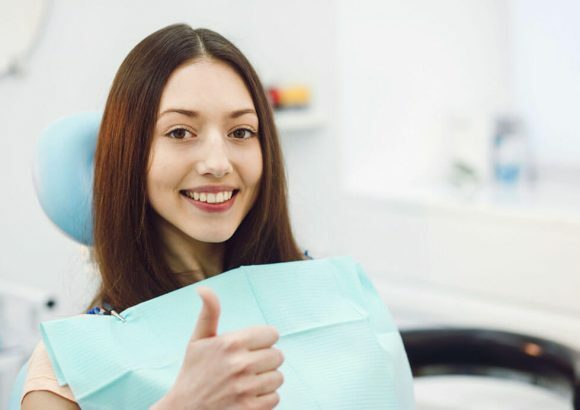 They are used to correct a wide range of issues, such as stains, discoloring, cavities, and fractures, and they’re even used to improve the overall alignment and function of the teeth. 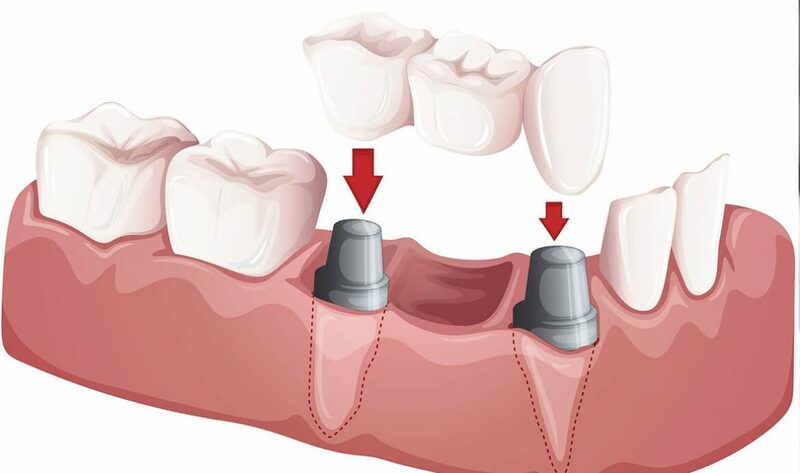 Until recently, crowns were made from a metal-porcelain alloy in order to withstand the harsh usage teeth receive over a lifetime of chewing, but developments in technology mean that we can offer a metal-free solution which is just a durable. Old metallic crowns used to look metallic, so a benefit of the new type is that it allows the crown to be the same colour as teeth, giving the user a more natural look and feel whilst providing the same durability and functionality. The Hollywood smile is more achievable now than ever before at Clínica Dr. Erick Rivera! A tooth bridge is used to cover the space of a missing tooth by literally forming a bridge between two teeth that are separated by a gap. This improves the patient’s bite and helps to ward off long-term dental problems like gum disease. It also has aesthetic value, boosting most patients’ self-confidence. Here at Clínica Dr. Erick Rivera, we have over decade’s experience in providing the highest-quality dental treatment to patients from around the world. 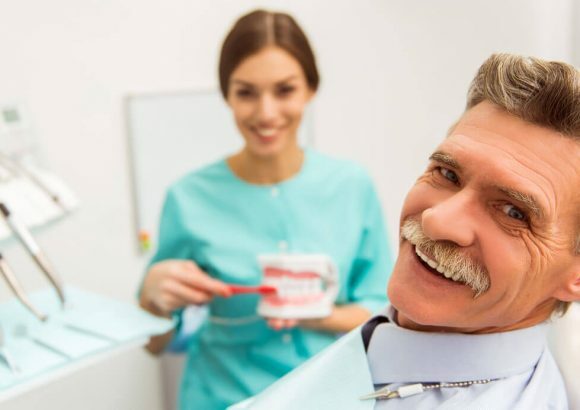 Our staff have been trained at some of the most distinguished dental institutions in Costa Rica and the surrounding areas, and we only use materials from the best brands in the US that are approved by the Food and Drug Administration (FDA), giving the patient a guarantee of absolute quality. If you have any questions about dental implants, crowns, and bridges in Costa Rica, then get in touch with us today.